Last updated 03 January 2019 . By Faith Strickland. From the sneaky scroll on the sidebar of shame through to whispering tales in the kitchen at lunchtime, the world runs of gossip. Or rather, my world runs on gossip and secrets - it’s why my hair is so big, and it’s also why I was doubly keen to check out Restaurant Ours in Knightsbridge. 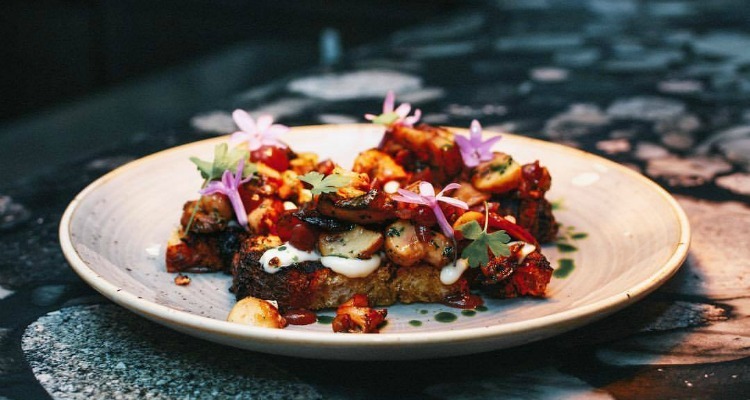 The venue has had its fair share of attention since its conception, from Michelin-starred Tom Sellers opening the spot, to the infamous spat with food critic Marina O'Loughlin. Sellers has stepped back now but that hasn’t stopped the buzz over the restaurant and as soon as I arrive - that’s through a long white corridor - it’s not hard to understand why. 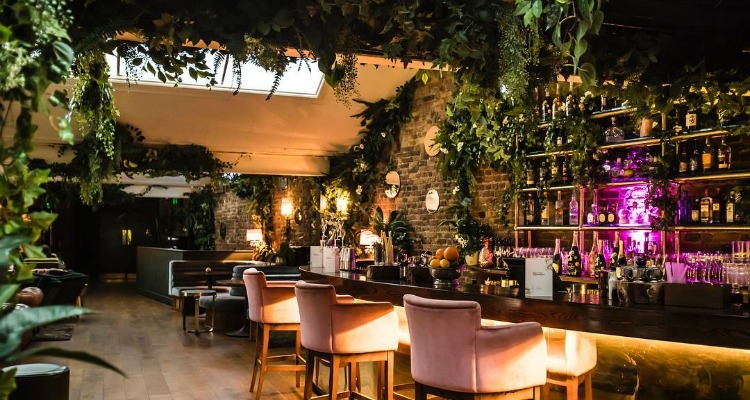 This place is as pretty as its supermodel clientele; a warehouse space is crammed with plants and botany, including a huge tree in the middle, its skyward-reaching branches twisted with fairy lights. We start upstairs in the mezzanine bar, which provides excellent spying opportunities on downstairs, along with beginning the many Instagram stories against exposed brick walls and in deep leather sofas. From a low-lit bar to the cavernous restaurant, Restaurant Ours is one hell of a looker. Food is served downstairs in the huge restaurant and, under the new team, focuses on Asian flavours and sharing plates. It may have had its detractors in the past, but every single plate blew me away at Restaurant Ours. There’s a lot of lemon grass which freshens heavier dishes; take the Devon Crab Croquettes (£11.80), several balls of fried crab meat, which are lightened with the tangy dip. The Gigantic Sea Prawn (£26.50) is obscenely big - I wonder if it’s actually a small dog as I stab my fork into the satay-covered meat, which bursts juicily in our mouths. Homemade Truffle Ravioli (£22.50) doesn’t have a hint of Asian influence but still smacks with flavour, arriving on a black slate in four bite-sized pieces, stuffed with rich cheese. I hate caramel, so when recommended the Salted Caramel Doughnuts (£9.5), I order them, in true British fashion. I'm going to pass on the recommendation; the lightly battered balls were ever-so-slightly crispy on the outside and fluffy on the inside - pure fairground delight. If you can’t afford a full blown meal, then go for cocktails - a theatrical assortment each vying for their stage moment. #Kissme (£15) is so sure of its Instagram credentials, it comes with a hashtag in the name, along with a mix of vodka, rose wine, sake, cherry air, and a cartoon pair of lips sprinkled on top. Gin in a Bottle (£15) arrived in an emerald green genie lamp, billowing with dry iced as the mix of Early Grey Beefeater, passion fruit syrup, and absinthe poured into our glasses.The night ends as it started, with a shiny, smoking, eye-catching entrance - this time in the form of shots carried out in half a disco ball. The menu is designed as sharing plates, split between grill, roasted, crisp, and raw. From hosting Dita Von Teese and Jason Derulo to that flower wall, Restaurant Ours is a regular in gossip pages. Ignore its moniker, however, this spot is no restaurant; it’s an experience, a taste of the perpetually beautiful, and a story that plunges you into its pages. Default on rent next month, shack up with mum and dad, and enjoy your 15 minutes basking in the light of this starry spot.